AN audience of 400 scientists from more 40 countries saw the University of Huddersfield's Professor Ted Charsley – a leading authority on thermal analysis – receive a prestigious new award. Then they heard him deliver a special lecture that opened the four-day conference. Held in Brasov, Romania, the event was the 12th European Symposium on Thermal Analysis and Calorimetry (ESTAC). Professor Charsley has been closely associated with ESTAC since its inception, becoming its first Committee Chairman in 1981. Before the 2018 symposium, he was named the inaugural winner of the David Dollimore ESTAC Award. Created to honour the distinguished UK scientist who organised the first ESTAC conference in 1976, the award recognises achievement in the fields of thermal analysis and calorimetry. Professor Charsley said that the award was particularly special to him because Professor Dollimore – an international authority on thermal analysis who died in 2000 – was his research supervisor and a long-time colleague and friend. He also congratulated Professor Jose Pérez-Rodríguez, of the the Instituto de Ciencia de Materiales de Sevilla in Spain, who was the joint recipient of the inaugural award. The winners were chosen by an international jury. After the ESTAC opening ceremony, Professor Charsley gave the lecture that commemorated his Dollimore Award. It was titled Sample Controlled Thermal Analysis – Techniques and Applications and described a range of powerful techniques for materials characterisation which were developed at the University of Huddersfield. Now, an Emeritus Professor, Ted Charsley relocated to the University Huddersfield in 1997, and formed the Centre for Thermal Studies. 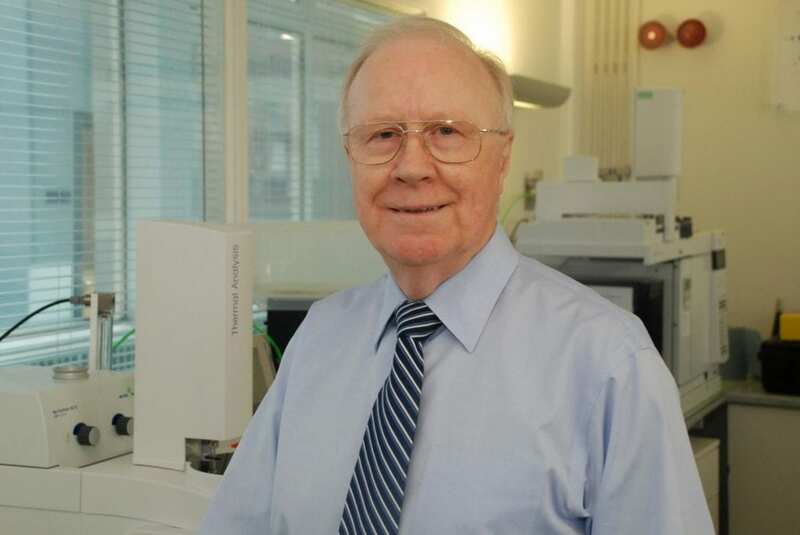 He is a Past President of the International Congress for Thermal Analysis and Calorimetry and in 2008, he was the first English scientist to be awarded Honorary Lifetime Membership. His other awards include the Prix Calvet, bestowed by L'Association Française de Calorimétrie et d'Analyse Thermique, and the Mettler-Toledo Outstanding Achievement Award of the North American Thermal Analysis Society. He is also a Past Chairman of the Thermal Methods Group of the Royal Society of Chemistry.